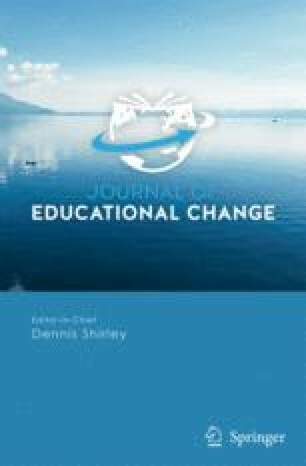 Despite widespread conviction that adequateknowledge exists for improving schools, weargue that the knowledge needed for successfulschool reform goes far beyond what is currentlyavailable and accessible. Drawing on theexample of ATLAS, a collaboration among fourexperienced reform organizations in the UnitedStates – the Coalition of Essential Schools,the School Development Program, EducationDevelopment Center, and Harvard Project Zero –we argue that four significant ``problems ofknowledge'' made it difficult to collect,integrate, and use what the members of theseorganizations had learned about schoolimprovement. First, the ATLAS partners quicklyfound that, while they had substantialknowledge and resources in many areas ofschooling, there were many other aspects ofschooling, school change, and organizationaldevelopment where further knowledge wasrequired. Second, even in areas where thepartner organizations had considerableexperience, they often found that it was hardto articulate and share that knowledge in atimely and efficient way. Third, in someinstances, the lessons that members of thepartner organizations took away from theirprevious experiences were either inconsistentwith one another or downright contradictory.Fourth, the difficulties of creating andmaintaining a new collaborative organizationmay have discouraged the development andsharing of knowledge across the partnerorganizations.